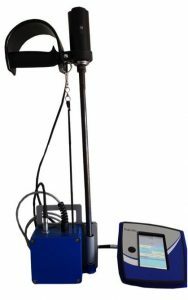 The PANDA Instrumented Variable Energy Dynamic Cone Penetrometer (DCP) is a portable method for evaluating soil strength. Site characterisation is unarguably the most important, but also most “difficult”, component of geo-engineering. 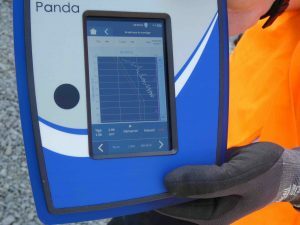 The PANDA probe is designed to improve the quality of site characterisation and reduce the difficulties involved. It is used for site classification, soil investigation, ground investigation, site investigation and compaction control. The PANDA DCP provides immediate repeatable results so that on-site decisions can be made straight away. It can be used in confined spaces and difficult to access locations, with no support equipment required. We describe the PANDA as a DCP on steroids. It has so much more capability than a standard DCP and overcomes the safety issues. Several studies have shown that the PANDA measurements are as accurate and reliable as the cone penetration test (CPT). The benefit is that the PANDA equipment can be used where the CPT vehicles are not suitable. 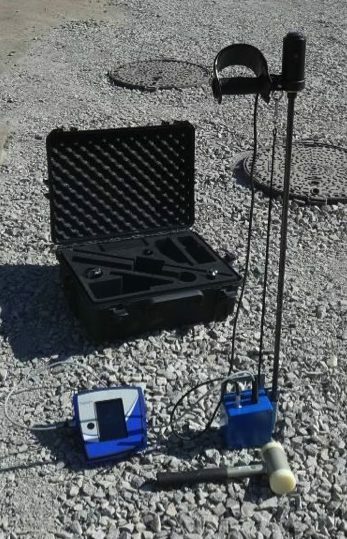 The PANDA is a lightweight (total weight of equipment 18.5kg) hand held Dynamic Cone Penetrometer which uses variable energy and can be operated by one person to test soils in almost any location to a depth about 5 meters. 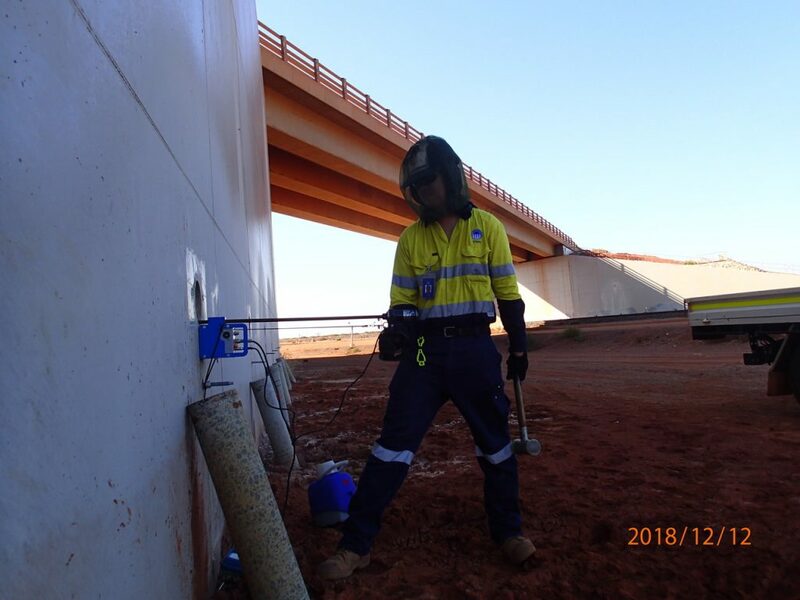 Thanks to its compact size and light weight, the PANDA probe is extremely mobile and able to investigate areas with limited access or height restrictions. For example, it can be used in basements, on very steep slopes, in back yards and tunnels. For deep or repetitive tests, automatic hammers are available as an alternative to using the 1.7kg hammer. The Automatic Hammers can also be operated by one person. Provides immediate repeatable results so that on-site decisions can be made straight away. 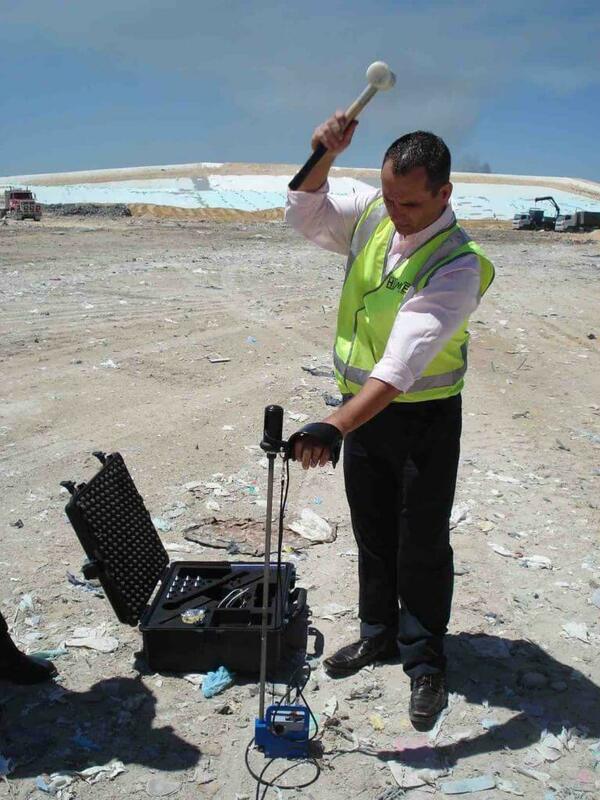 Dynamic Cone Penetrometer (DCP) suitable for soil investigation, ground investigation, site investigation, site characterisation and compaction control. Variable energy means the operator can change the force applied so more data points can be taken in weak materials, like mine tailings. Integrated GPS system allows the user to immediately determine and record the test position and this is linked with Google Maps. For compaction control, the PANDA data acquisition and analysis software has an integrated compaction control database for various soil types – the measurement of the driving depth (mm) and cone tip resistance (qd) is compared to a database based on the type of soil (soil classification), its water content and the required compaction quality (%OPN or OPM). 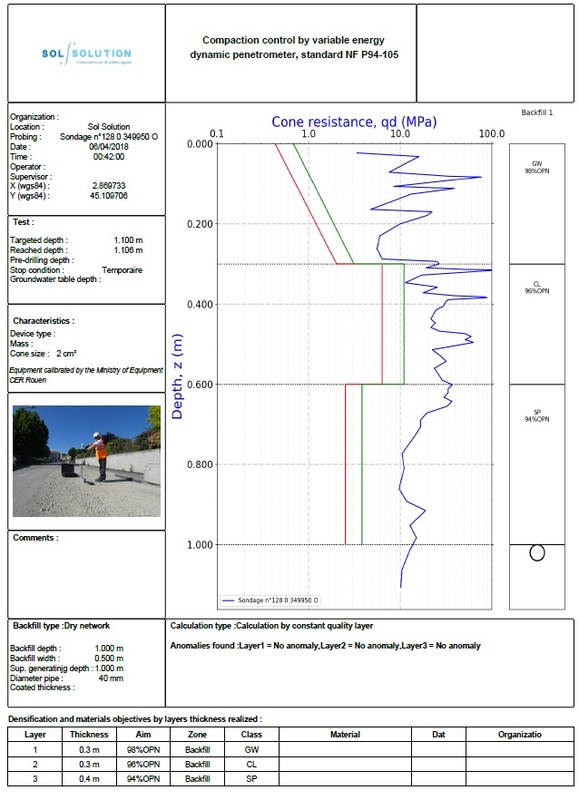 The related pre-calibrated reference and refusal lines, when compared to the test data, allow an assessment of the quality of the compaction to be made. The database of more than 2500 data points is catalogued in terms of plasticity, grain size distribution, water content, and level of compaction for both natural and artificial (crushed gravels) material types. For soil investigation, a geological profile (database available) can be associated with the penetrogram. Ability to typically reach 4-6 metres depth in soils with a cone resistance of 20-30 Mpa. Depths of about 17m have been reached in weak soils. PANDA probe can be used where Cone Penetration Test (CPT) vehicles are not suitable. 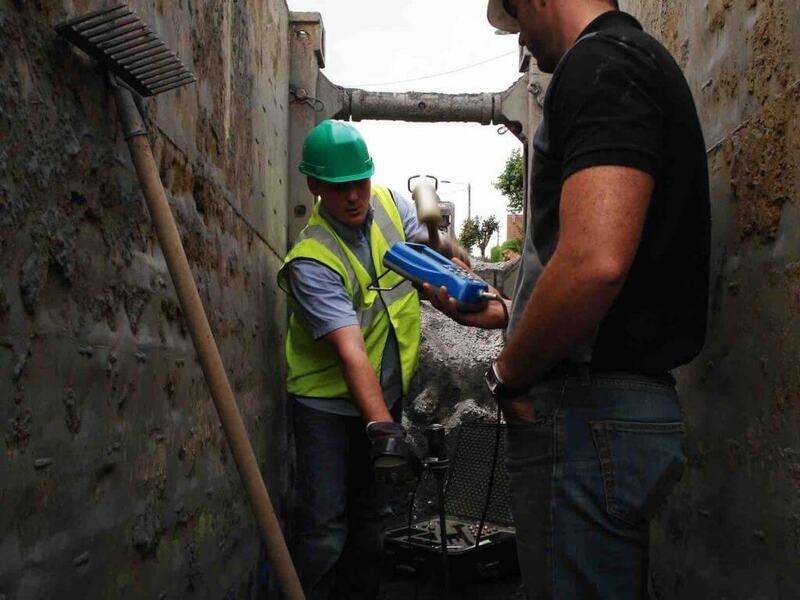 Compact light weight design makes investigation of sites in confined spaces and difficult to access locations or remote areas possible. No support equipment is required. 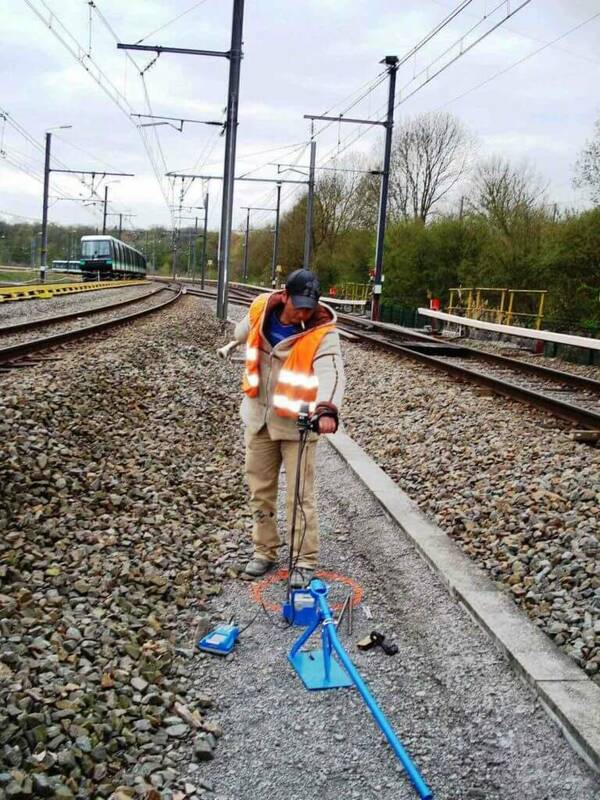 Applications for the PANDA Instrumented Variable Energy Dynamic Cone Penetrometer from Sol Solution include archeology, cable and pipe laying, trench work, flexible pavements, backfill, unsealed roads and mine access roads, landfill facilities, tunnels, railway / railroad track beds and ballast, cuttings and embankments, bridge abutments, airport runway and taxiways, hard standing areas, tunnels, dam construction (and mine tailings), canal building, building foundations, electricity pylons and poles, telecom masts, property sub-divisions, backyards, very sleep slopes and temporary works platforms including for piling rigs and mobile crane foot standing pads (outriggers). Here is the PANDA in action in various applications and research papers on some of these applications too. 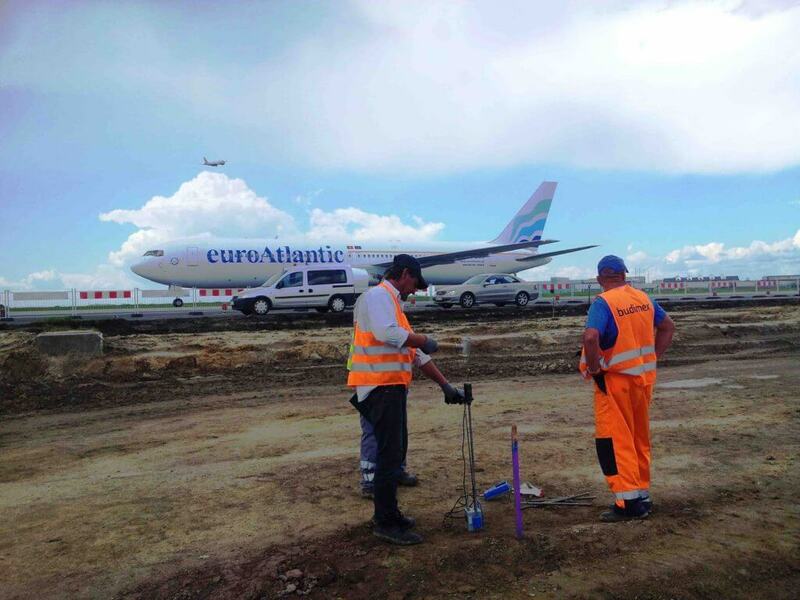 Clients include those involved in pavement construction, pavement rehabilitation, material testing, geotechnical testing and site investigation and include utilities (gas, electricity and water), road and rail authorities, councils, asset managers, mines, mobile crane and piling rig contractors, engineering and construction groups, subcontractors, geotechnical consultancies and research organisations. We purchased a PANDA 2 machine after using one from another laboratory. The information obtained has saved money on numerous jobs. It is reasonably priced and the after-market service has been great. Highly recommend using Insitu Test.